The Santos Tour Down Under marks the start of the UCI ProTour Event racing season and it is the only professional pro tour cycling event to be held in Australia. 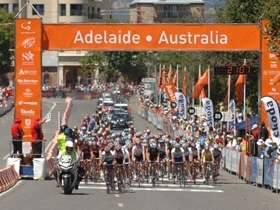 Adelaide plays host city to this major annual event, which sees 133 riders and 19 professional teams, battle it out for the Leader's Jersey. The event is a staged race held over 8 days, with riders completing in excess of 800 kilometres from start to finish. Get the best seat in the house to admire their stamina and endurance as they speed past right before your eyes. The Tour Down Under is raced around the city of Adelaide in South Australia and this makes logistics and accommodation easy for spectators wishing to get a glimpse of all their favorite riders during the event. BookToday has a great selection of Tour Down Under accommodation options.